That iconic white patterned facade and those grand orange doors. It's a drop dead gorgeous entrance to a mecca of mid century modern design in the middle of the desert. 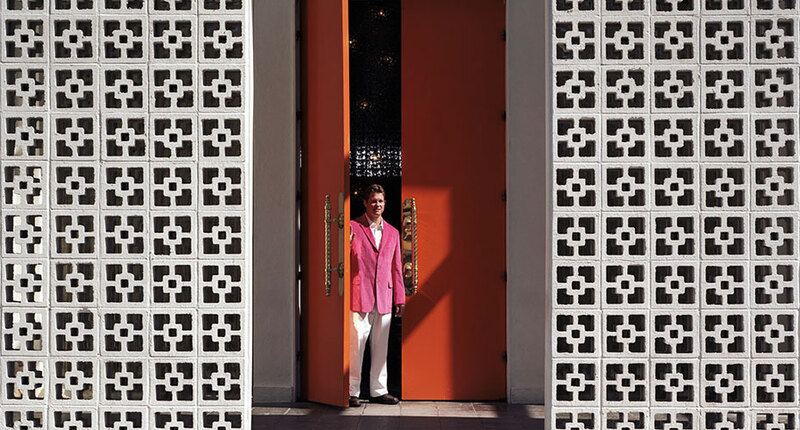 I've wanted to visit the Parker Palm Springs for years now. And in April, it's happening! I cannot wait and I'll be sure to share my own photos after the trip. April, you can't come soon enough.